Even though it is getting colder here in Utah we have been using our BBQ ALOT!!! On Pinterest I found a recipe for what claims to be The Best Burger Recipe . 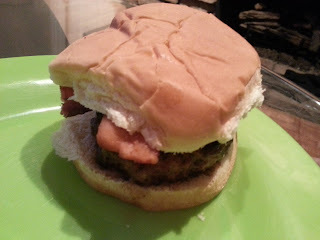 . . not going to lie it was pretty good :) I did tweak the recipe a bit based on what we had and it is now our new Favorite Burger!! Everyone that knows me knows that I LOVE free stuff and don't mind doing something small to get it . . . especially when it is something super cool!!! My newest discovery - - Smiley360! According to their website: Smiley360 is a community for vocal consumers who love to share their opinions with friends about the brands they’ve tried. As a member of Smiley, we’ll invite you to special “missions,” where you’ll get the first look into new and exciting products to experience, all for free! All we ask in exchange is you to share your honest feedback.